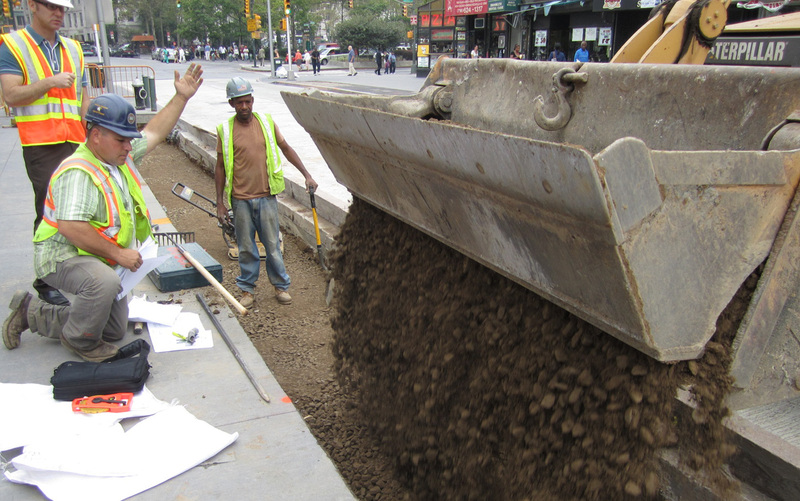 SiteWorks was part of the construction management team for this multi-million dollar reconstruction of Fulton Mall, downtown Brooklyn’s busy pedestrian mall and transit hub. 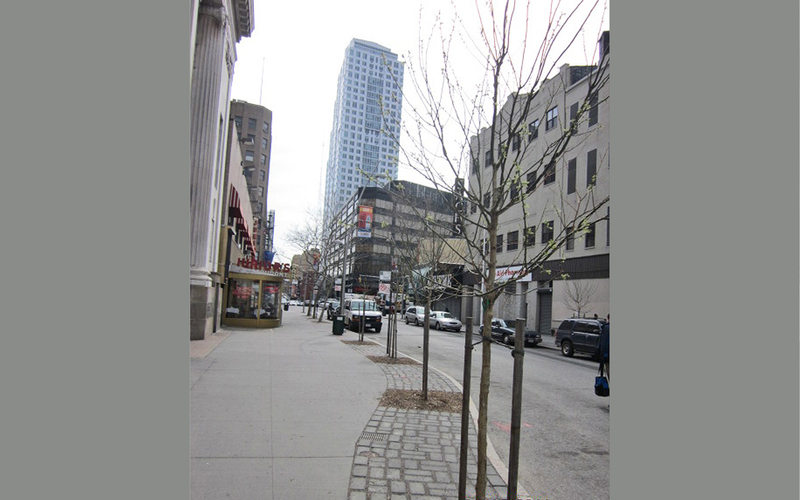 The scope of work for this major streetscape revitalization effort included a complete roadway reconstruction, new utilities and streetscape amenities including a central pedestrian plaza, street trees in decorative pavers, site furnishings and CU-Structural Soil™ along Fulton Street. 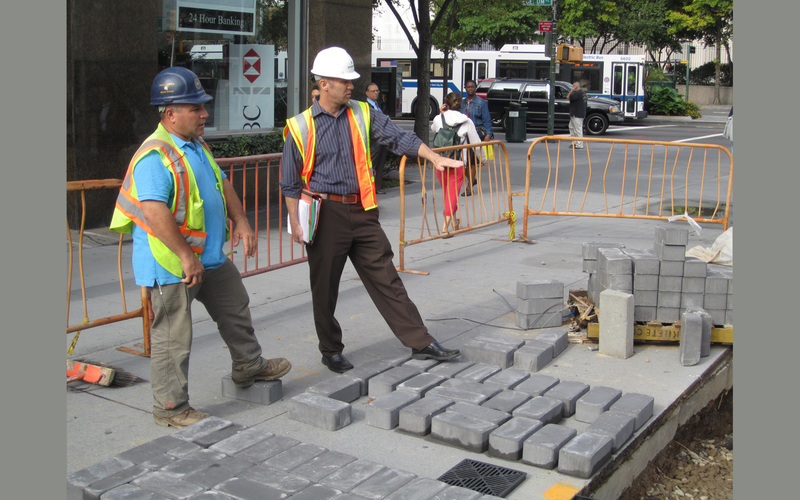 In addition to overseeing permitting through NYC Parks & Recreation and managing plant selection and inspection, SiteWorks coordinated the work for all planting, soils and related hardscape improvements. 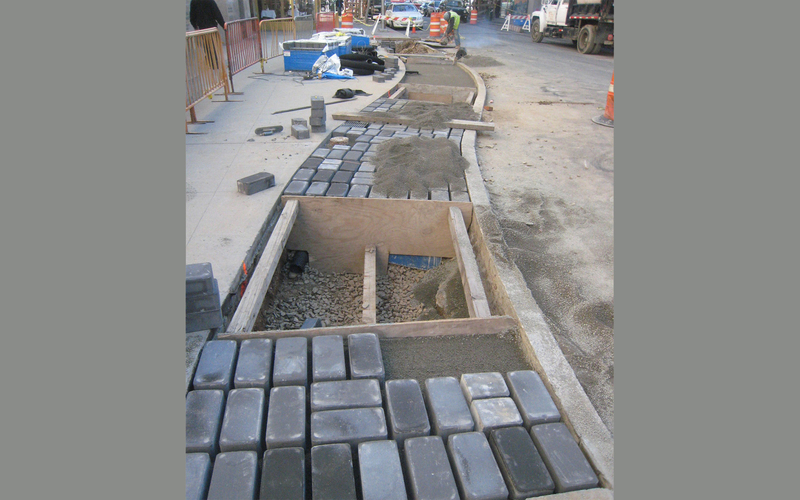 Construction sequencing along this tight urban corridor was critical. 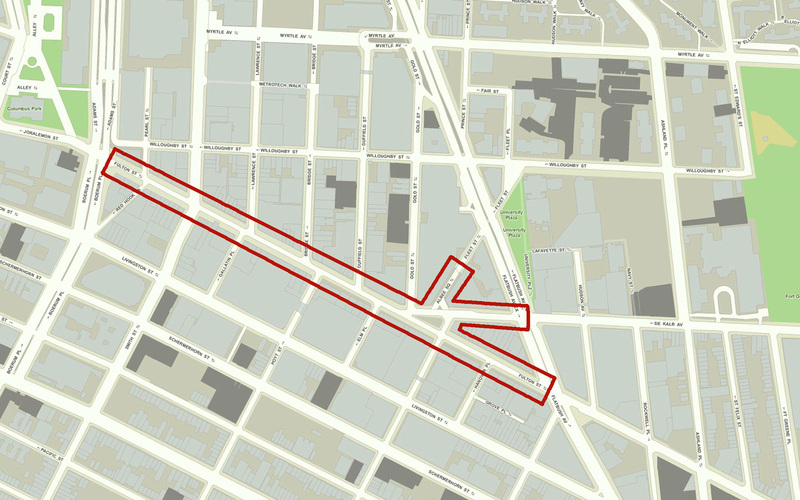 As a vibrant retail corridor it was essential to have pedestrian access remain open. SiteWorks was instrumental in providing contractor logistical coordination to keep the project on schedule in order to meet strategic milestones.